Whew! I’m already worn out from the “holiday season,” and as I write this it isn’t even December yet. Every year I have plans to get the shopping done early, start the Christmas calendars and family DVD months in advance, and every year the end of November comes without any of it being finished. Each year I think “This time I’ll do it! I’ll actually get to enjoy Christmas!” full of hope and excitement, but the month of December is spent madly buying presents, making cookies for school, decorating the house, prepping for the big day. All of which should be fun. All of which I actually enjoy, especially since I’m doing it for and with the people I love. But the pressure of a time limit makes it stressful. And it makes me forget what the holiday is about, which for me calls for a few moments of rest to consider. So I’m taking the month of December off. 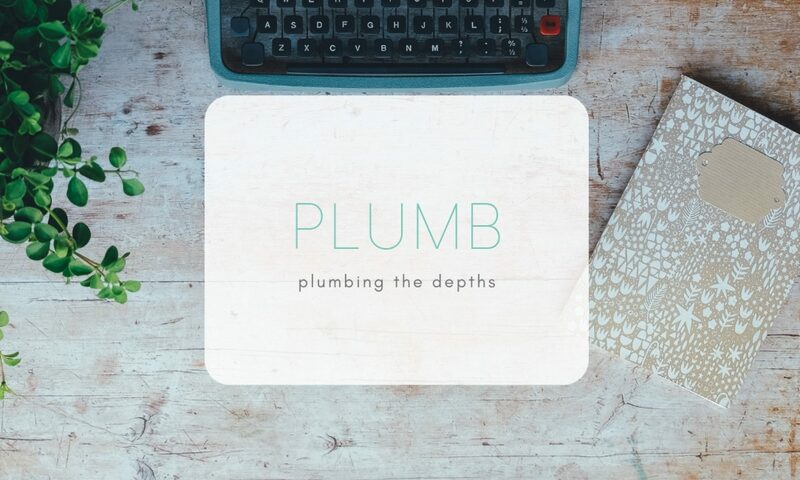 At least from Plumb. I’m going to step away from the blog so I can really enjoy the season this year. I’m going to buy a few more gifts, hope for a little snow, decorate the tree to the John Denver/Muppets Christmas album from the 70’s, make ginger bread houses with my kids, celebrate my son’s birthday and remember what a gift he was in 2004, go on a drive to look at lights, watch my Christmas cactus bloom, eat a few (and only a few) treats, snuggle up on the couch and watch Emmet Otter’s Jug Band Christmas, wrap presents before 11:00 PM on Christmas Eve, and stop every once in a while to consider what’s going on. To take some things in. To think, slow down, and treasure another Christmas. I’ll be back with renewed pep in the new year, ready to roll with some more thoughts on life. And hopefully some new additions to the blog. Watch for it! I’ll keep you posted. May you have time this holiday season to stop and think. May your present be to be present. Sounds like a good gift to me.